If you’ve decided that it’s time to invest in a new gutter system for your home in the Des Moines, Iowa, area, the professionals at Waddle Exteriors will be glad to help you through the process. We’ll set you up with a free consultation in which you’ll have the opportunity to speak with one of our knowledgeable representatives, learn all about the industry-leading gutters that we offer, have all of your questions answered, and, last but not least, receive a quote for the installation of your new gutter system. We’re proud to note that our unwavering dedication to customer satisfaction has helped us achieve an A+ rating with the Better Business Bureau. Enhanced durability – Seamless gutters are made from one long continuous piece of metal, so they won’t fall apart or break at the seams as precut gutters can. Increased efficiency – Seams create ridges, which are ideal places for debris to get caught. 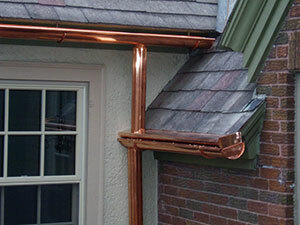 Since seamless gutters have no seams, they’re less prone to blockages. Improved curb appeal – Our gutters can be cut from several different materials, so you can choose the one that best matches the look of your home. Waddle Exteriors also offers the Gutter Topper leaf filter to maximize the efficiency of your home’s gutter system. Designed with a rounded nose, Gutter Topper ensures the unobstructed flow of water through your gutters by preventing leaves and other materials from causing blockages. If you’re interested in having a seamless gutter system installed on your home, or would like more information about the Gutter Topper leaf filter, contact Waddle Exteriors today. We proudly serve homeowners in Des Moines, IA, and surrounding communities.